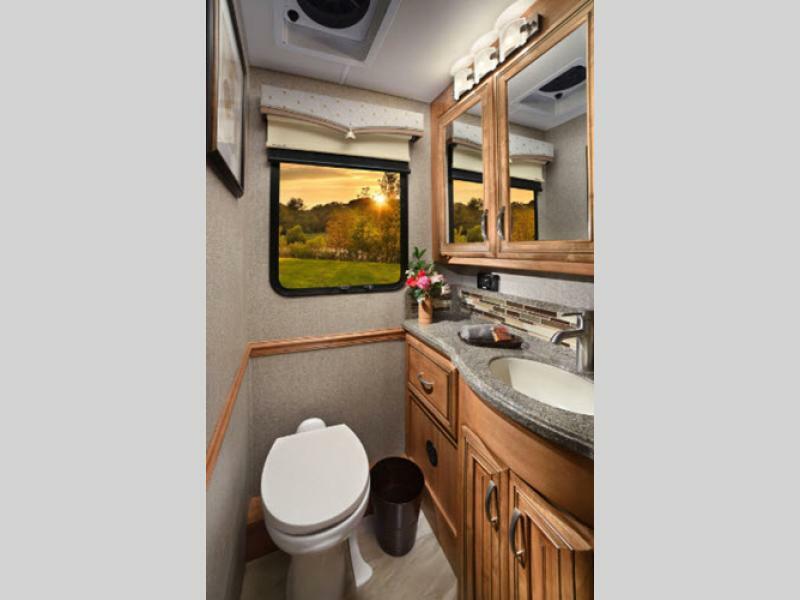 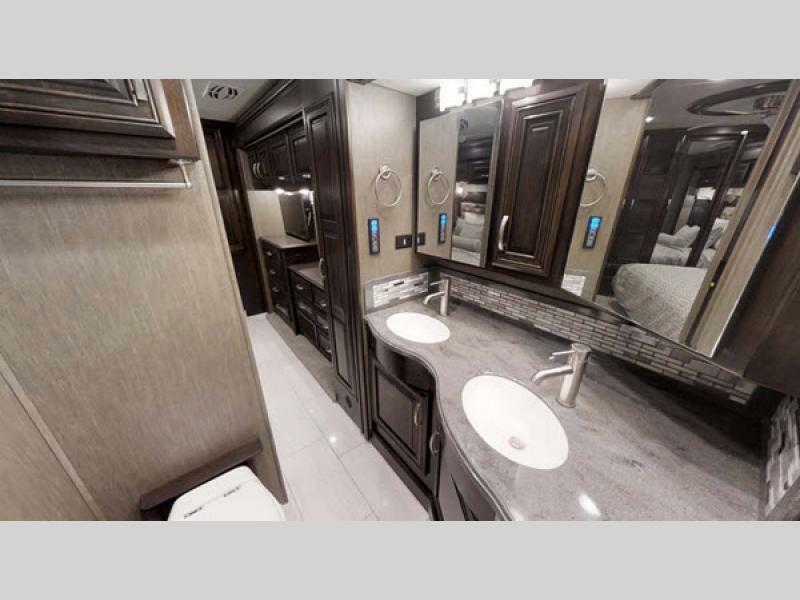 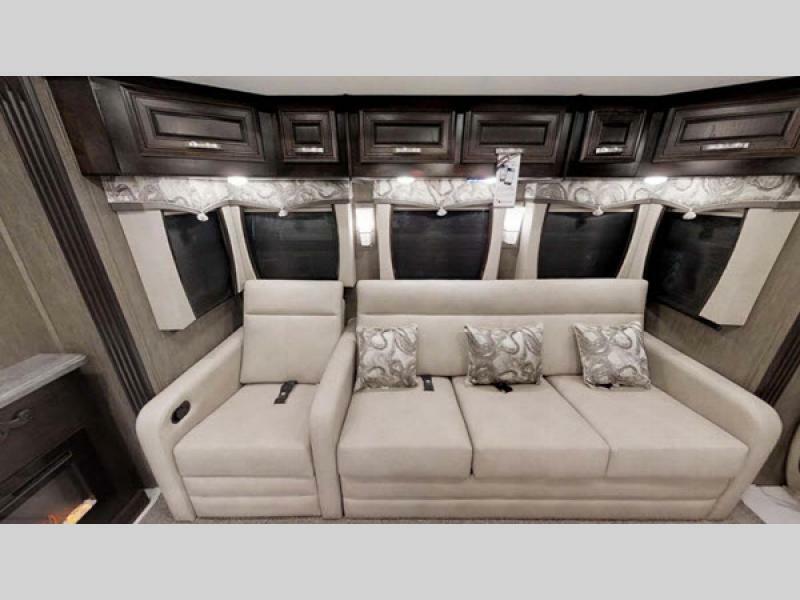 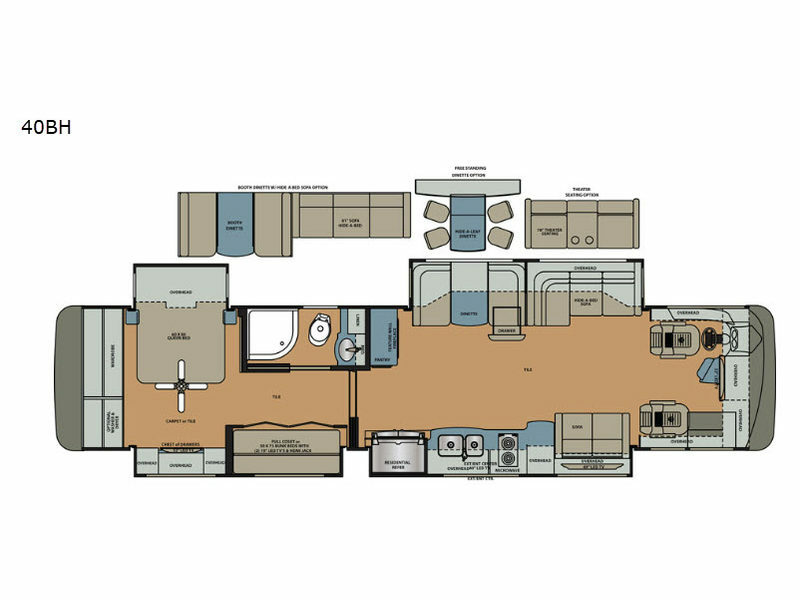 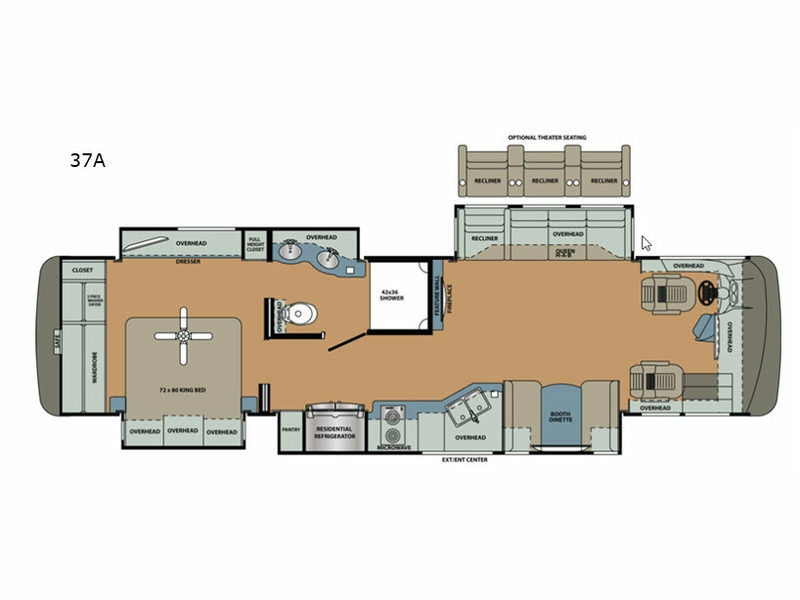 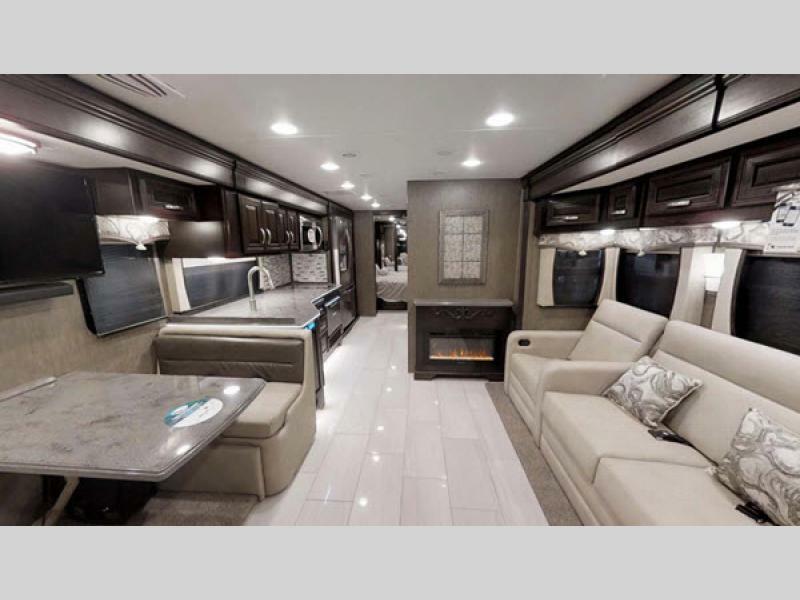 The Berkshire XL Class A diesel motorhome by Forest River is luxury at its finest! 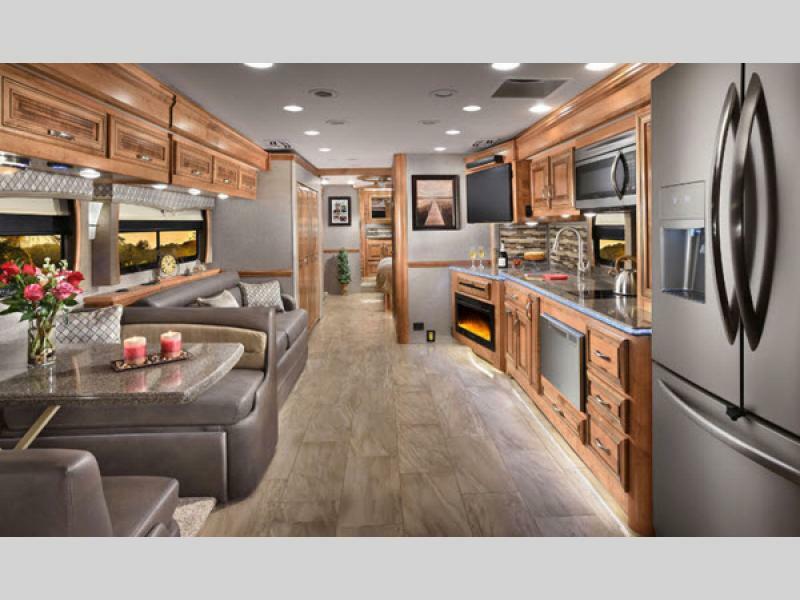 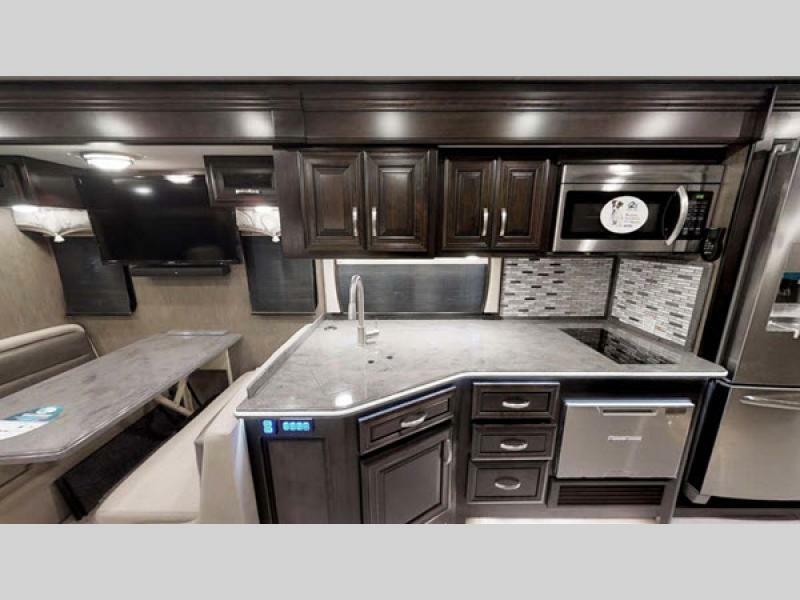 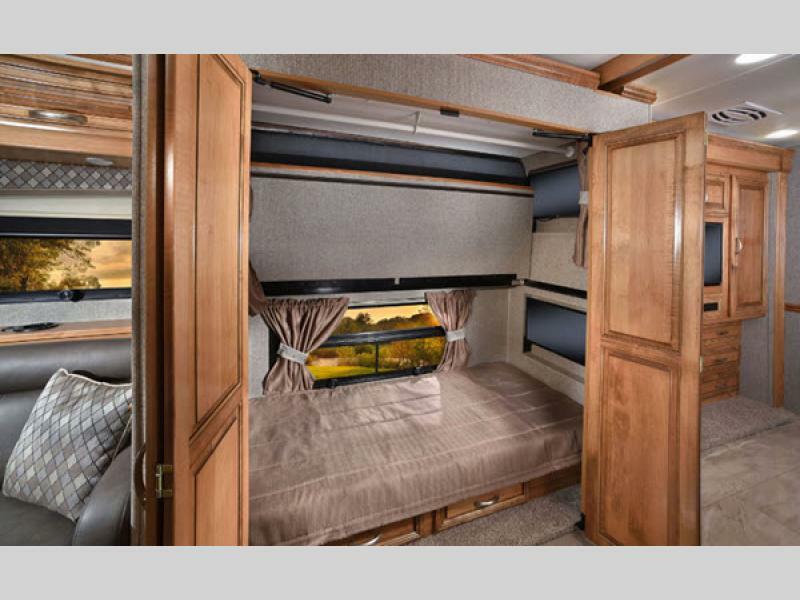 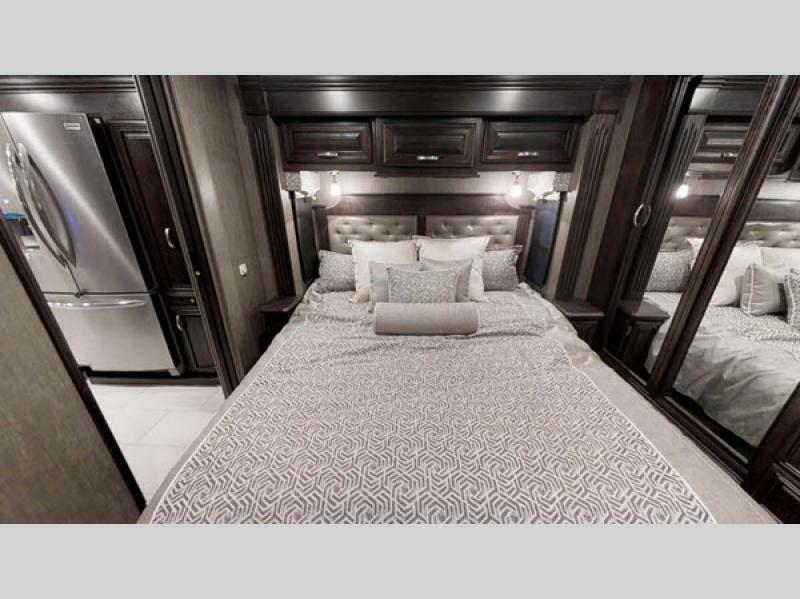 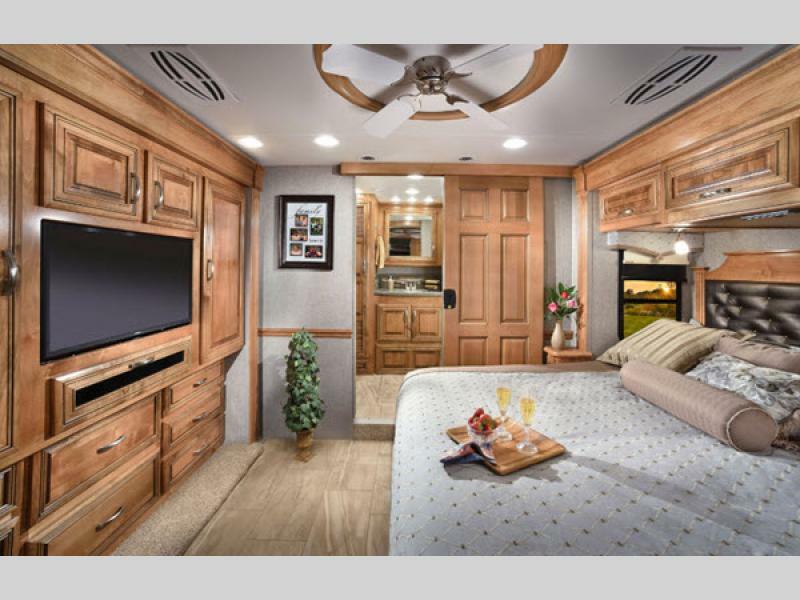 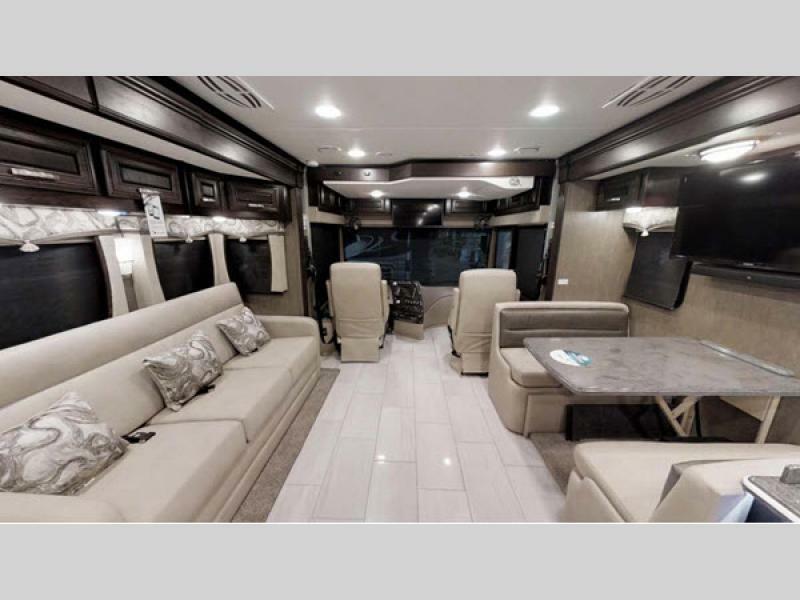 From the open floor space in each unit to the beautiful hardwood cabinets, gorgeous decor choices, and elegant furnishings, you will be wowed from the minute you step inside each of these coaches. 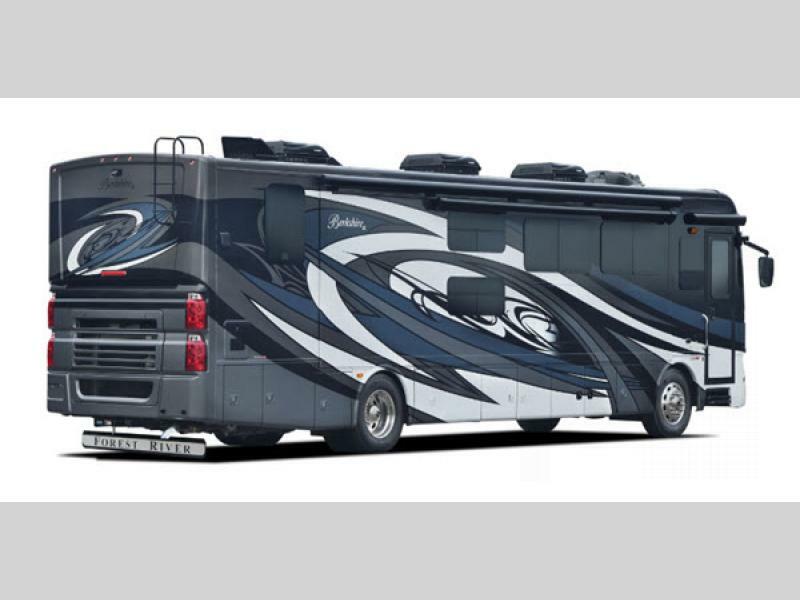 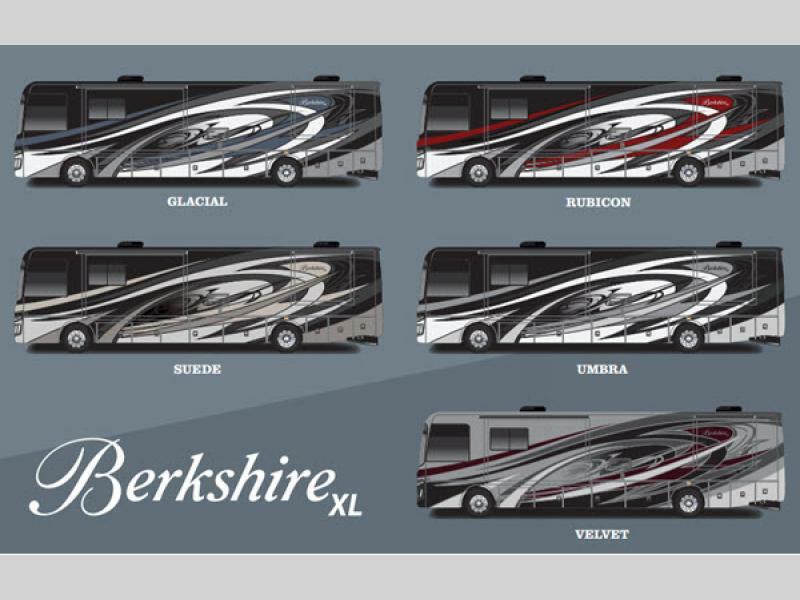 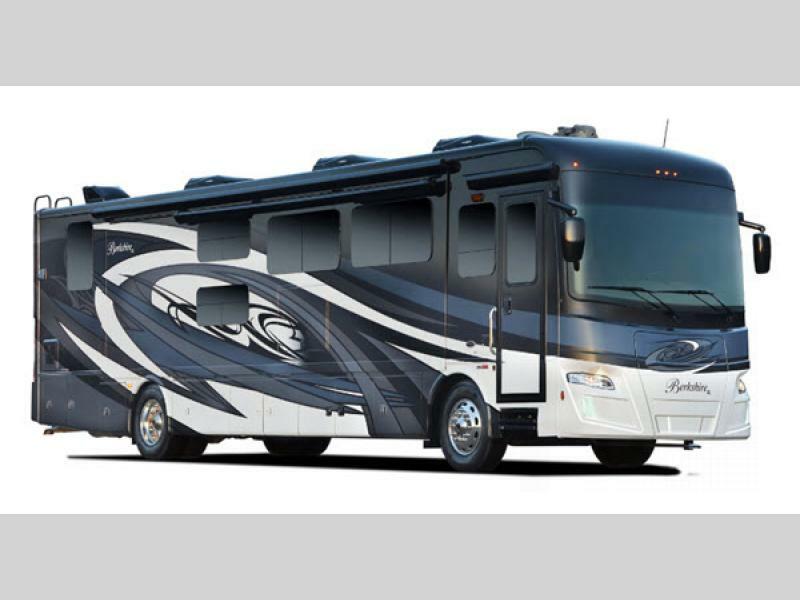 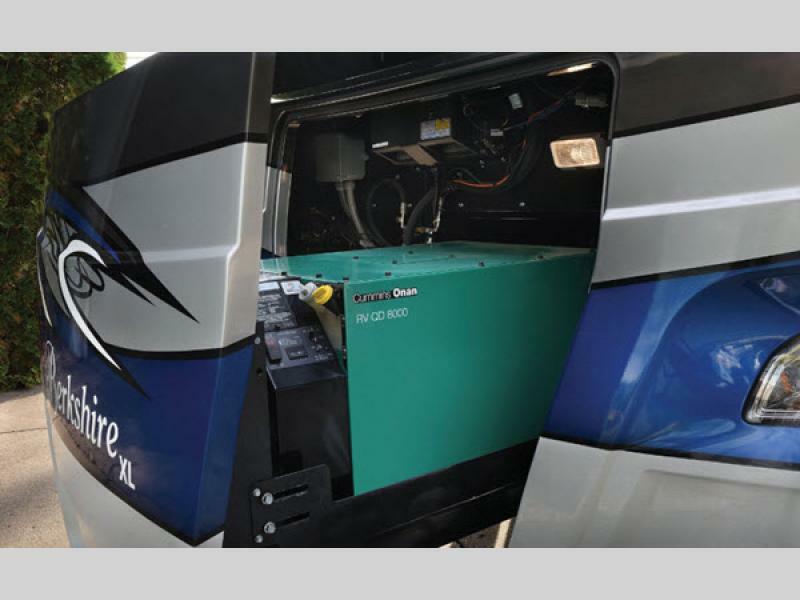 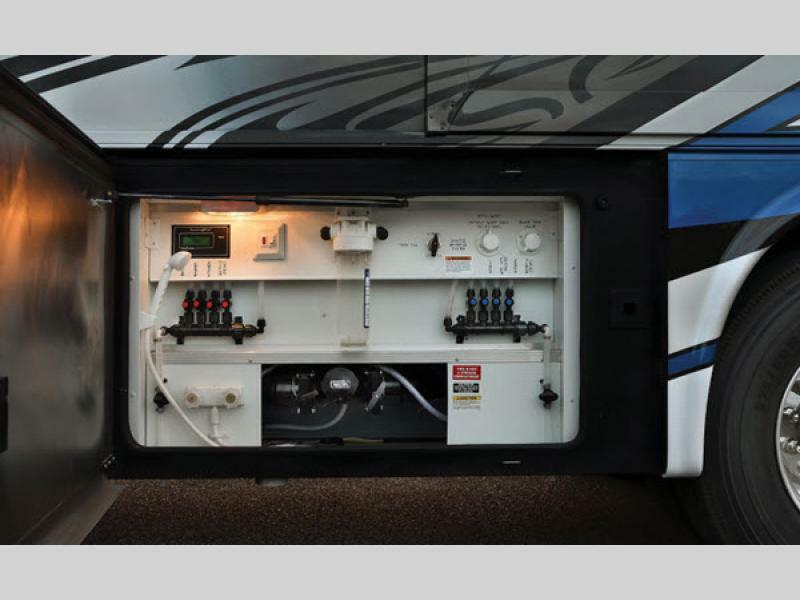 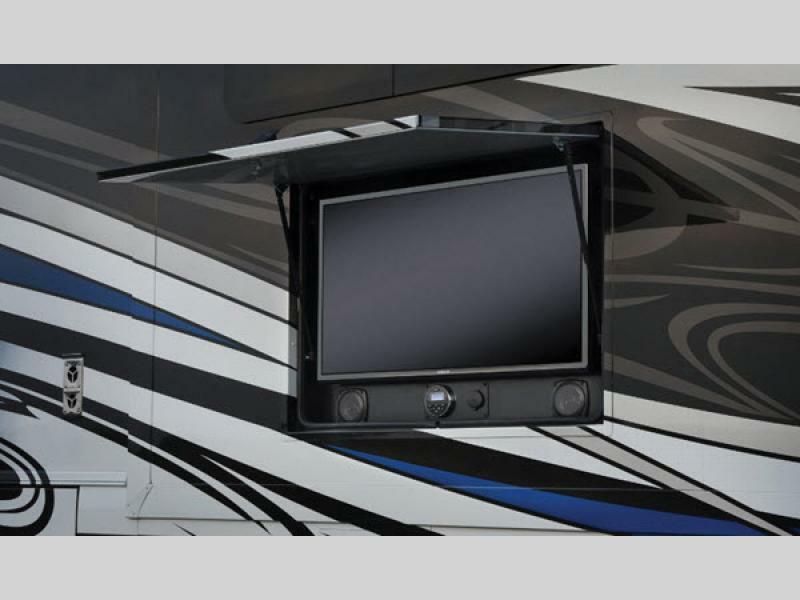 Each Berkshire XL motorhome is constructed with a Freightliner XCR raised rail chassis, a Cummins ISL turbo diesel engine, and a 100 gallon locking dual-fill fuel tank. 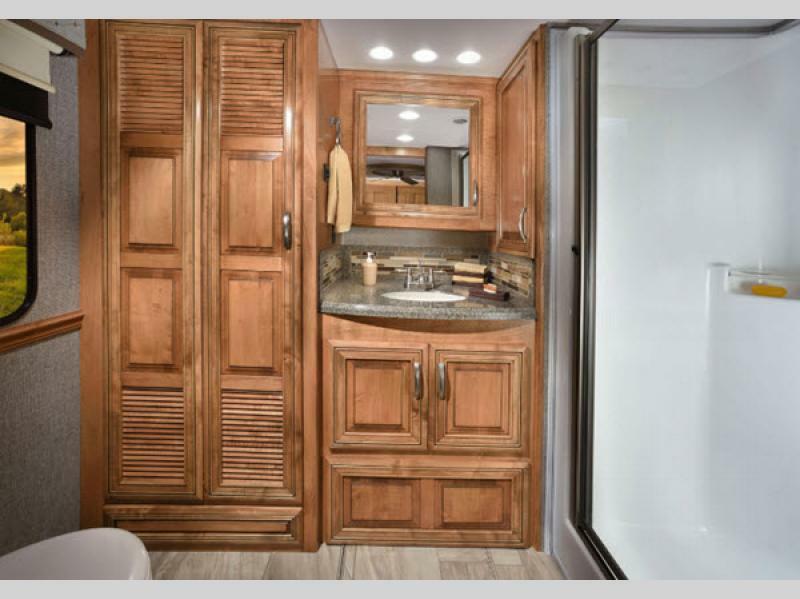 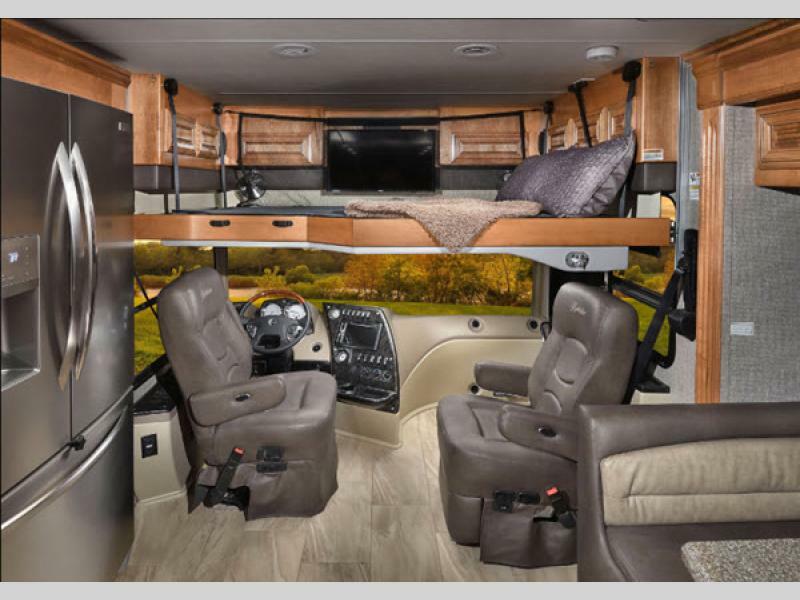 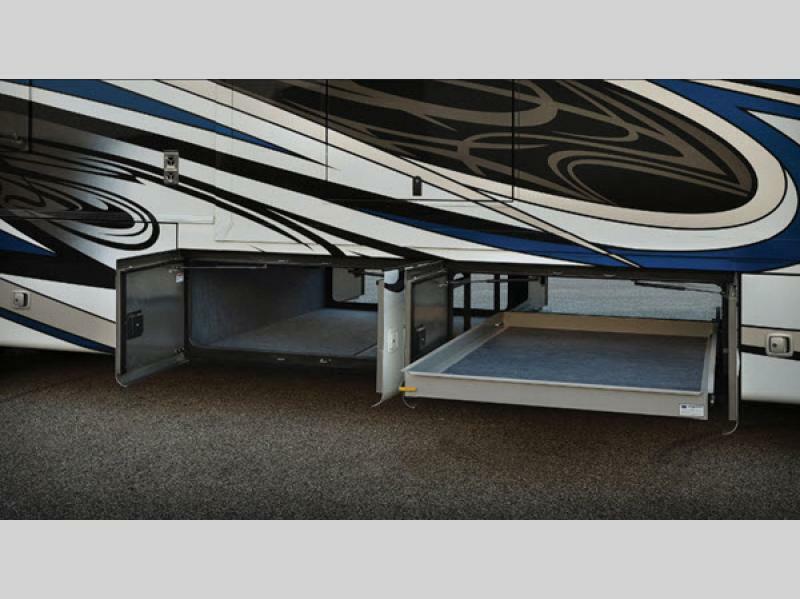 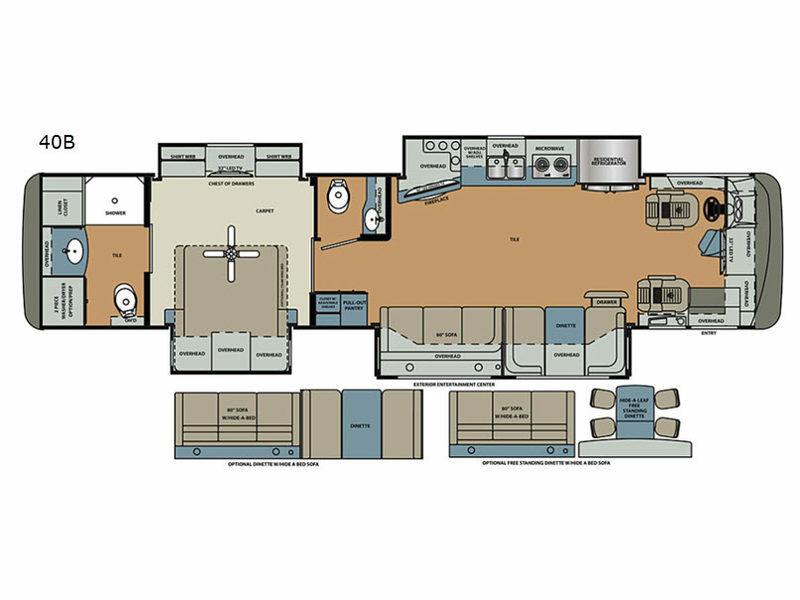 Each model also offers either three or four slides, and with everything the Forest River Berkshire XL has to offer, you will only need to add your family, food, and luggage for an exceptional getaway experience. 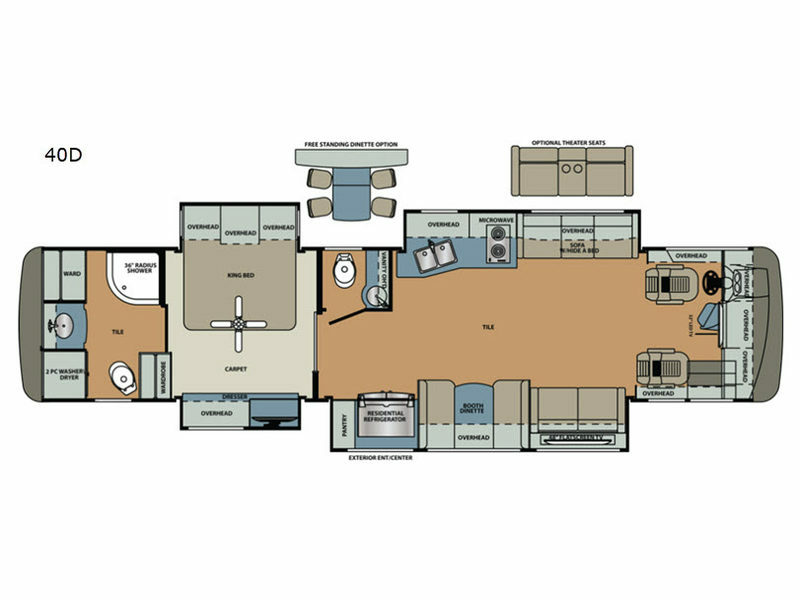 Today is the day to start out on a new adventure in a luxury Berkshire XL Class A diesel motorhome by Forest River! 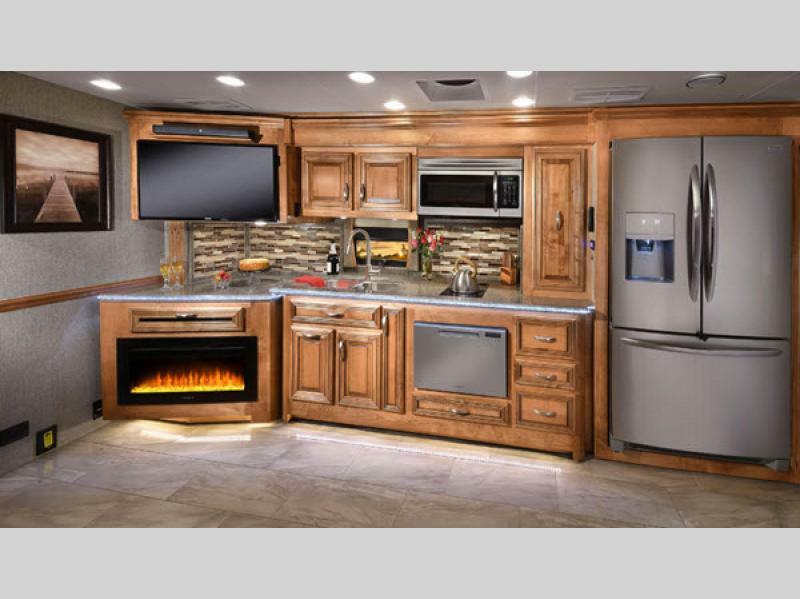 Choose yours today! 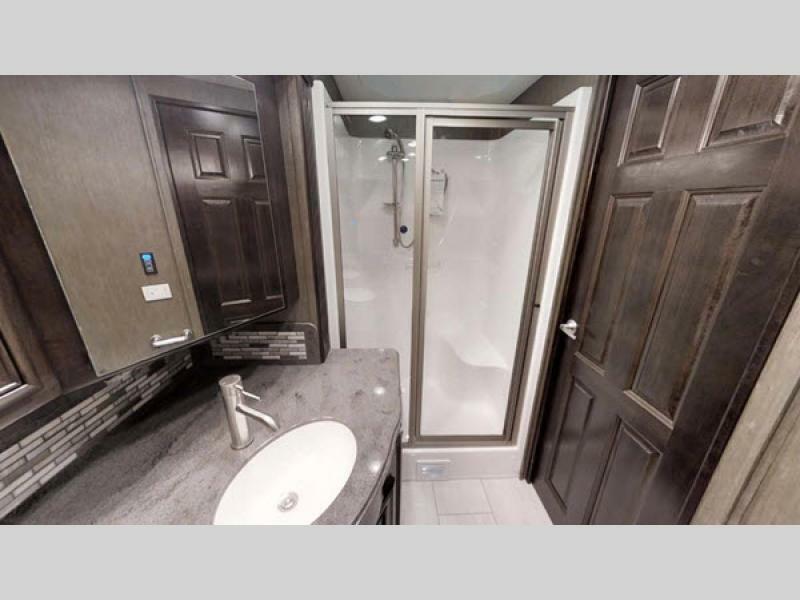 Shower Size 42" x 36"
Basement Storage 220 cu. 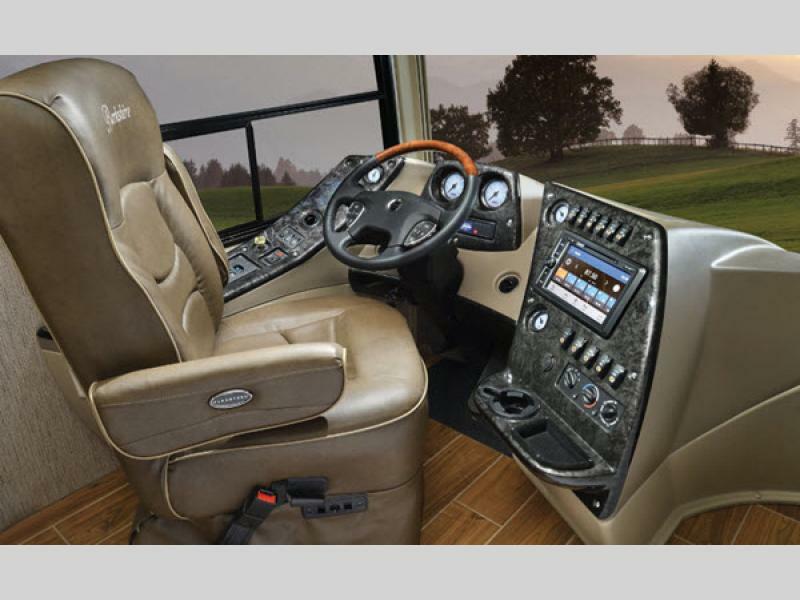 ft.
Flexsteel soft touch wide driver seat swivel,recline & 6-Way pwr adj.